The ties that bind Arvon’s wonderful creative team are a commitment to making the arts open and accessible to all, and a desire to support people to discover and express their creativity. Get to know our staff across our three centres and national office here. If you want to chat to anyone at Arvon, email their full name, separated by a full stop, before the @ sign, followed by arvon.org – for example: charles.dickens@arvon.org. Andrew Kidd had a fourteen-year career in publishing, first at Penguin, where he was Editorial Director for Viking and Hamish Hamilton, and latterly as Publisher for Picador and Macmillan. He then spent six years as a literary agent, as Managing Director of Aitken Alexander Associates. In 2013 he co-founded what is now known as the Rathbones Folio Prize, a literary charity for which he remains chair of the trustees; and in 2014 he co-founded Alexi, an award-winning digital book discovery and reading app. Richard joined Arvon as Director of Finance and Resources in November 2016. Previously he was Head of Finance at the homelessness charity Providence Row, based in East London, for five years from 2011. Richard qualified as a Chartered Accountant in the audit practice of Arthur Andersen in London between 1992 and 1995 and subsequently spent 15 years in the Global Financial Advisory business of the Rothschild Group in London and Frankfurt am Main, specialising in mergers and acquisitions and strategic financial advisory assignments in the public and private sectors. He has a degree in Modern & Medieval Languages (Russian and German). In his spare time he haunts second hand bookshops and tries to educate himself about history, religion, literature and philosophy. Becky leads on our work with young people and a wide range of partnerships with charities, arts organisations and community groups. She is inspired by the unique spirit of Arvon and its commitment to giving everyone the chance to write and develop their creative voice.. Before joining Arvon in June 2011, Becky was Learning Manager at Creativity, Culture and Education (CCE) and Creative Partnerships where she led on training and professional development for artists and teachers working in partnership. She is a Clore Fellow (2008/9) and accredited coach. Her experience has often bridged arts and learning, including youth and community work. George has a particular interest in all things digital, and is always on the look out for stories from people who have been on Arvon courses – what happened on their course, and how it has influenced their writing and creative life – so do email him if you have such a story. Before joining Arvon in 2011, George was Marketing Coordinator at Apples and Snakes, Sales and Marketing Manager at Poetry London, and in the more distant past has worked in public relations. Rebecca Thompson joined Arvon in May 2017. Rebecca has a portfolio career and this year becomes President of the Chartered Institute of Building where she is already a Fellow and Trustee. In the summer of 2016, Rebecca launched ‘Thompson Heritage Consultancy Ltd’, having spent 7 years as the Superintendent of Works for the Chapter of York, directing the maintenance, restoration and conservation of York Minster and the precinct properties. Rebecca is a member of the York Consortium for Conservation and Craftsmanship supporting and enhancing the training and qualifications for heritage craft skills. Rebecca is also a member of the Association for Studies in the Conservation of Historic Buildings, past Master of the York Guild of Building, and current member of the Society for the Protection of Ancient Buildings, the Institute for Historic Building Conservation and York Civic Trust. Joe coordinates our residential course programme for schools and groups, as well as a wide variety of partnership projects. He project manages the Jerwood/Arvon Mentoring Programme and helps to run Arvon City courses around the UK, as well as working with partners to produce anthologies of writing by young people. Having previously worked at the Royal Society of Literature and the youth charity Envision, Joe is passionate about helping everyone to find their voice through writing. He writes in a number of different forms, and loves comics, speculative fiction, and hip hop. Dean Stigwood joined Arvon as Development Officer in June 2015. He is a trustee of the arts charity SPID and has previously worked for the Tricycle Theatre and HighTide Theatre Festival. He has undertaken work placements at Channel 4, Pinewood Film Studios, Royal Court Theatre and the British Film Institute. Roseline Iyanda-Mogaji has worked in different sectors of Organisation in Finance. She is a member of the Institute of Bookkeeper (ICB) 2006, of the Payroll Management (PMD) and of Association of Accounting Technicians (MAAT). Yvette joined Arvon at the start of 2017. Originally from Brighton, she studied English Literature and Art History at the University of York and made London her home in 2002. Alongside her work in events and administration, in 2011 Yvette independently founded and curated a collective of emerging artists across a broad range of practises. She is also an experimental abstract painter. Yvette is proud to support the Arvon team’s valuable work to release and develop creative expression. Angela joined Arvon in March 2018. Originally from North London, she grew up in Cambridge, studied Sociology at the University of Warwick, and previously worked at the University of Cambridge and the British Film Institute. She enjoys reading and writing, travel and languages, cinema, fashion and dancing. Louisa works on communications, marketing and digital. With a background in fashion marketing, staying ahead of the curve in consumer trends has driven her work in creative agencies and the arts. Louisa loves jazz and folk music, picnicking in the parks of London and checking out the latest exhibitions. Hailing from Maryland, you’ll find her in her element wearing dungarees and pickin’ crabs on the Potomac River. Tallulah joined Arvon in June 2018. They have a background in Literature, receiving a BA from the University of York in 2014 and an MA from Goldsmiths in 2016. Tallulah is a nonbinary writer and lecturer currently working on their debut novel. They are particularly interested in telling stories about human/nature cohabitation and in creating spaces for voices from underrepresented backgrounds to be heard. Tallulah has several publications out this year, was recently shortlisted for the “From LGBTQ+ With Love” Writers’ HQ Competition 2018, and their screenplay I don’t miss her (2019) is currently in post-production. Natasha began her career at The Kings Head Theatre in Islington. She moved onto setting up Foothold Theatre Company where she developed new writers and directed several plays on the fringe in London and Edinburgh. She crossed into television production becoming a producer of documentaries for all the major broadcasters and international distribution. In 2002 she set up Dreamfinder Productions to develop and produce films and television. She produced numerous films including BAFTA award winning Brown Paper Bag. What interests her about creative writing is the voice that it gives to everyone regardless of their background; it enables everyone to tell their story in which ever way they choose. Jo studied Art History at UEA and spent three years working for authors and agents in London before a ten year stint at Madame Tussauds, discovering the vital stats of inter/national luminaries of the 1990’s. In 2008 she co-founded the region’s first major national contemporary art exhibition and in 2012 Jo founded Ludlow Open, which connects regional artists with the national fine art scene. Ludlow Open now runs two artist residencies (one at The Hurst), six artist development workshops, and a new showcase of regional contemporary art (also at The Hurst). When Arvon made a writing centre on his doorstep in 2003, Dan Pavitt set his sights on working there and achieved that goal one year after it opened, as The Hurst’s first Centre Administrator. With the greatest respect to the London Marine & Aviation Reinsurance market (his previous occupational habitat) he has found the transition to the arts sector, via a short stint in Further Education, hugely inspiring. He continues to relish his role – helping to provide an environment in which creative stars can shine – even when they don’t do their paperwork. Anna found herself in ‘the best job in the world’ (hosting, feeding and generally looking after writers) via art history, a brief career in the legal profession and sundry pursuits including packing organic smoked salmon in the Clun Valley, a book group, a writer’s group and a firmly held belief that the opportunity to be expressive and creative is fundamental to everyone’s welfare. 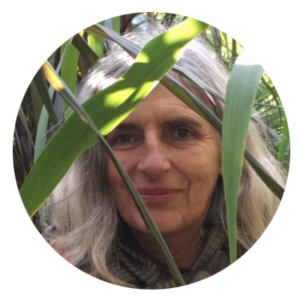 Jo studied African History at SOAS but another passion was always gardening, so after working at Regents Park she did an MSc. in Landscape Ecology, Design and Maintenance. She has done various garden recreations including a Roman Garden on the Isle of Wight. A favourite project was on the Market Gardening and Mining Heritage of the Tamar valley. This included producing a book and various exhibitions. Working on the renovation of the gardens here is dream job for the beauty of the place, the excitement of change and being able to share it with all the writers who come here. 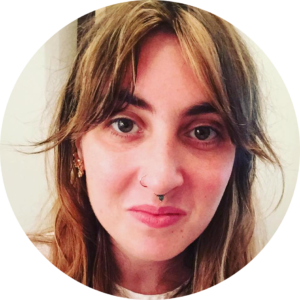 After studying History of Art in Glasgow, Rosie worked in the arts sector in Manchester for over 10 years beginning her career curating visual arts exhibitions before moving into theatre programming and managing Waterside Arts Centre. Rosie became Centre Director at Lumb Bank in summer 2015 and loves the variety of her job and the chance to support people, whatever their background or experience, to discover and explore their creativity. Jill has been working at Lumb Bank for five years, having come from an arts and theatre background. She was awarded an Arts Council grant to pay for a course at Lumb twenty eight years ago, loved it, and moved into the area soon after to raise her family, maintaining an interest in and a great fondness for Lumb Bank. During her time with Arvon she has met many remarkable people and acquired many new skills. These include basic plumbing techniques, the study of electricity for idiots and random cattle herding. Jill has enjoyed all the challenges and changing aspects of her job, the maintenance, the cooking and the hosting duties. She never tires of the stunning view from the terrace, the opportunity to spot wild life, and the meetings and friendships developed with writers from all walks of life. She has also been known to write the occasional poem and is looking forward to her fourth poetry course with Arvon, later this year. Becky’s background is mostly in English teaching, learning and heritage projects, working with schools and community groups. Before starting at Lumb Bank she often walked in the surrounding woods, admiring the handsome house on the hill. She also produced a heritage trail, exploring the history of the tall chimneys in the valley below. Becoming Centre Administrator seemed a very natural next step and she loves being part of an organisation that nurtures such creative talent – and serves such delicious food! Jack grew up in Hebden Bridge, and has worked in the catering industry for many years both in Yorkshire and France. He is passionate about food and cooking, and loves to make sure the writers at Lumb Bank are well fed during their stay. Jack also enjoys meeting all of the different people who stay at Lumb Bank, and hosting the evening readings by our tutors and guests. Charlotte grew up in Hebden Bridge and comes from an artistic background. Alongside working as an artist, Charlotte started her own local arts festival and has facilitated this for many years. She has had lots of experience hosing in the arts, working in the service industry and is now proud to be a firm fixture at Lumb Bank. She particularly enjoys supporting all kinds of people, listening to the evening readings, the beautiful surroundings and getting to use her resourcefulness and creativity to contribute to Lumb Bank life. Jean has lived in Hebden Bridge for 34 years, she is a qualified Accounting Technician and has worked in finance and accounting throughout her career. Jean brings her dog Maggie to work with her and loves being surrounded by writers whilst she busily crunches her numbers. Mary began her editorial career at Bloomsbury Publishing in 2003. She went on to manage the general list at Gerald Duckworth, publishing both fiction and non-fiction. She later moved to the British Museum Press, where she developed exhibition titles, and finally to Faber & Faber, where she worked as a fiction editor for four years before moving to Devon to work for Arvon at Totleigh Barton. What interests her about creative writing is the transformative power of self-expression; it’s a privilege to watch students of Arvon along that transformative journey every week. Eliza grew up four miles away from Totleigh Barton before going on to study a BA and then an MA in English. She spent a couple of years as an editorial assistant for an academic journal, wrote an A level study guide on The Great Gatsby and taught the Charleston to 3-99 year-olds from Devon to China. During the four years that Eliza has been at Totleigh she has had the privilege to hear the stories of hundreds of writers from all over the world and is committed to making creative writing (and the arts in general) as open and accessible as possible. Helen has been involved with Totleigh Barton for a large part of her life. Her family’s shop supplied the ingredients for the very early writers back in the 70s and it seemed totally natural for her to work here. She enjoys being a permanent member of ‘Team Totleigh’ having progressed from making the cakes and providing relief cover. Helen loves meeting all the tutors, writers and schools, providing them with tasty food and feels that the communal cooking is a vital part of the Arvon experience. Sue studied Italian with French at the University of Exeter and therefore gained a great appreciation for the Italian classics. She has worked at Totleigh Barton since March 2013 and had her own book of rhymes for children published by Penryn Press in May 2015. Sue is also a Team GB age-group duathlete and has won medals in European and World championships from training in running and cycling on the Devon hills. Jeremy Treglown is a biographer and a former editor of the Times Literary Supplement. He founded and for many years chaired the Warwick Writing Programme, with David Morley as Director. He has also chaired literary prize committees including Booker, Whitbread (now Costa) and Encore. His latest book is Franco’s Crypt: Spanish Culture and Memory Since 1936. Dr. Judith Abbott – Judith is Chief Executive and Accounting Officer at PROCAT. She was previously the Director of Finance & Resources at Harrow College from 2011-17, where she was responsible for Finance, IT, Estates, HR and Student Records, and implemented a new Estates Strategy consisting of c. £15million of grant funding and £1million bank loan, returning the college to a sustainable financial position. Judith has over 20 years’ Blue Chip finance experience at Ford Motor Company and subsidiaries including over 10 years at a Senior Manager/Director level. Since 2006 Judith has held Senior Manager/Director level positions in the not for profit sector including, Director of Finance for Energy Saving Trust Ltd and Head of Strategic Planning and Control for Action for Children. Lee Bilson has worked in the heritage sector since completing his Bachelor of Architecture at the Glasgow School of Art, and later his masters at the University of Cambridge. He has worked on some of the UK’s most important heritage buildings and artefacts, including The Palace of Westminster, Blenheim Palace, and HMS Victory. He is a part-time PhD researcher at the University of Liverpool, focusing on the significance of craftsmanship as part of Intangible Cultural Heritage in built heritage. Alison Flood is the Guardian’s books reporter, covering breaking books news, profiling authors for print, online and podcasts, and championing libraries, diversity and freedom of speech. She also writes The Bookseller’s monthly paperback preview, reviews thrillers for the Observer, and freelances for publications including The Author and Index on Censorship. She has a background in financial journalism, previously working as news editor for The Bookseller and for various financial publications. Neil Harris is Head of Finance at the Blackheath Conservatoire and has over 30 years financial and commercial experience. He is a trustee of A New Direction, the Arts Council funded arts and education bridge charity for London and a member of the Institute for Chartered Accountants in England and Wales (FCA). Neil was a Partner at Deloitte LLP for 24 years and worked with public sector organisations, such as RSPCA, Ravensbourne College, Royal Engineers and Oxford University Press. He also has significant experience in the technology, real estate and business support sectors. Ashley Holloway is Chief Product Officer for DMA Media. He has delivered digital channels, strategies and products for a wide range of businesses including Virgin Media TV, Penguin Random House and Sainsbury’s. He is also a writer whose play Lesere was performed recently in the West End. Christian Lewis has worked in publishing for over twenty years since completing a Literature and French degree at Warwick University. During this time she has been employed by three different publishing houses, initially in editorial at Kingfisher Books, and then in PR and Communications at Orion Publishing (now Hatchette) and Penguin Random House. Since 2015 she has led a publicity and marketing team within Vintage, a company within Penguin Random House, and currently occupies the role of Communications Director. Christian has significant PR experience and has worked closely with many leading UK authors. She is also a member of the Penguin Random House consumer marketing board. Nick Makoha is a poet, performer, workshop leader and mentor. Born in Uganda, Nick fled the country due the civil war in the 1970s. Nick has presented his work for the British Council in Finland, Czech Republic, USA and the Netherlands. Nick was one of ten contemporary poets to be selected for Spread the Word’s Complete Works mentoring programme. His one man show, My Father & Other Superheroes, premiered at The London Literature Festival in 2013. He is the winner of 2015 Brunel African Poetry award. Daljit Nagra has published four poetry collections with Faber & Faber. He has won the Forward Prize for Best Individual Poem and Best First Book, the South Bank Show Decibel Award and the Cholmondeley Award. His books have been nominated for the Costa Prize and twice for the TS Eliot Prize, and he has been selected as a New Generation Poet by the Poetry Book Society. He is the inaugural Poet-in-Residence for Radio 4 & 4 Extra, and presents a weekly programme, Poetry Extra, on Radio 4 Extra. He is a Fellow of the Royal Society of Literature and was elected to its Council. He has judged many prizes including The Samuel Johnson Prize, The T.S. Eliot Prize, The Costa Prize, the David Cohen Prize, the National Poetry Competition. His poems have been published in The New Yorker, Poetry Chicago, London Review of Books, The Times Literary Supplement and New Statesman. He has written for the Guardian, The Financial Times. He teaches at Brunel University London. Meriel Schindler is a Partner and Head of Employment at Withers Worldwide law firm, advising senior executives and employers. Meriel is a trained mediator and used to write regularly for the Guardian, offering legal counsel to readers. Jon Teckman is a Senior Teaching Fellow at Surrey University Business School where he designs and delivers leadership development programmes for a variety of clients. Before joining Surrey, Jon was on the faculty at Ashridge Business School where he helped to design and run the country’s first ever MBA specifically for the creative industries. He was formerly CEO of the British Film Institute. Jon’s first novel Ordinary Joe (which he began on an Arvon programme in 2007) was published by The Borough Press in 2015. After graduating in Landscape Architecture at Manchester Polytechnic in 1976, Andy Wimble worked briefly in both private practice and local government. He has spent most of his career working for government agencies such as English Heritage. Recent work has included prestige projects such as the International Maritime Headquarters on Albert Embankment, the International Conference Centre, Westminster, and the Princess of Wales Conservatory, Royal Botanical Gardens, Kew.